All Cossack Stanitsa Nikolskaya, named after the Church of Saint Nicholas. 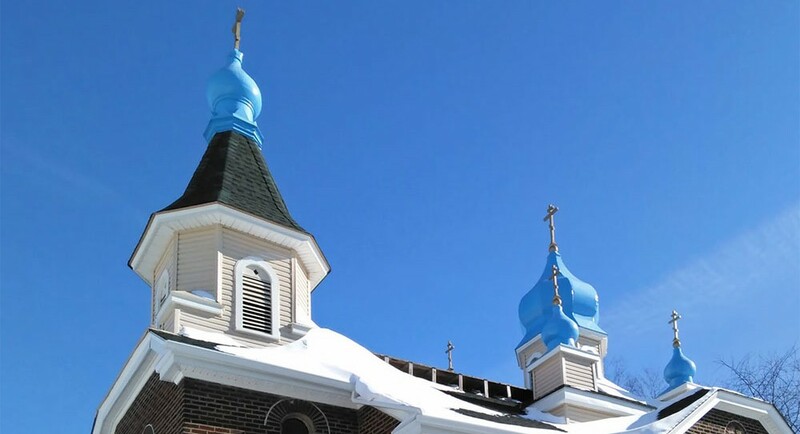 Stanitsa Nikolskaya is the central gathering place for Cossacks residing in Pennsylvania. The Cossacks meet every Sunday in order to pray, and host different events for everyone to participate in. Even before the official formation of the Stanitsa, the Cossack members of the church participated in the restoration of the upper part of the church. Stanitsa Nikolskaya was officially organized in June 6th, 2010 by the Cossack members of the Church. Since then, the Stanitsa has grown in number, and has been involved in many events. It was in October 2010, that the first All American Cossack Krug was held in the church hall of the Stanitsa, where the representatives of Don Cossacks, Kuban Cossacks, and Terek Cossacks met in order to unite under one organization (Cossack Congress in America). In December 2010, the Stanitsa opened a memorial plaque in memory of Atamansha Nina Burova, an important Cossack figure during the first and second wave of immigration. Today, the Cossacks continue to attend Divine Liturgy every Sunday. The Cossack help host picnics and gatherings in which the parishioners are able to participate in. The Cossacks will also help in remodeling the parish hall in 2013. On October 3rd, 2015, Stanitsa Nikolskaya hosted the 6th Annual Cossack Congress in America, marking the 5th year anniversary of the Congress.